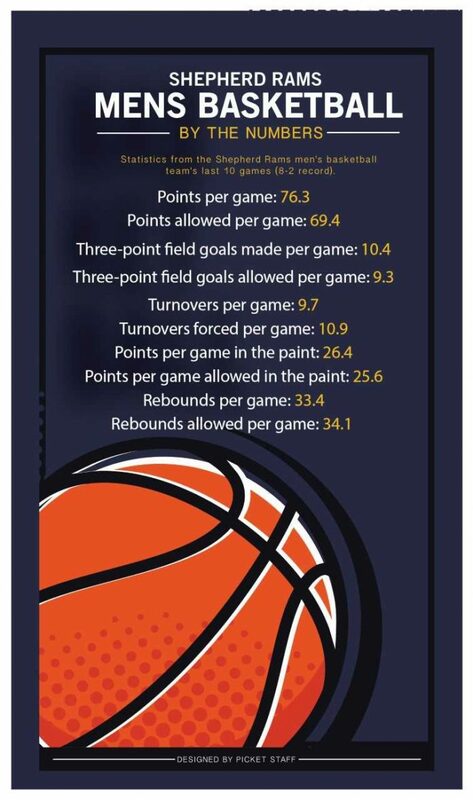 The above statistics are based on the Shepherd Rams men's basketball team's past 10 games. For the Rams, the three-point shot has been a great strength in helping propel them to an 8-2 mark in the past 10 games, but it has also been hard for the Rams to defend the three-point shot. (Yani Meda/The Picket).